Whether you are a manufacturer already on a content marketing journey, or one that is considering taking the plunge, it's always worth reiterating the benefits of content marketing for manufacturing. According to research published by the Content Marketing Institute (CMI) at the end of 2016, 85 per cent of manufacturing marketers use content marketing. However, well over three-quarters (79 per cent) of these describe their organisation's content marketing maturity level as "first steps", "young" or "adolescent", as opposed to "mature" or "sophisticated". And only a third (33 per cent) say that their organisations have clarity on [what constitutes] content marketing success. The early stages of a content marketing strategy can be hard. It takes time to lay down the foundations and results don't appear overnight – but, when they do, they're well worth the wait. So, here are three top benefits of content marketing for manufacturing to keep in mind if you're in need of a boost or have just plain lost your mojo. Today, more and more people looking for business solutions are conducting their own research. They are actively seeking out the organisations that can solve their problems and answer their questions, and they are rarely interested in talking to a sales person until they are fully informed. According to Think With Google, 89 per cent of B2B researchers use the internet during the B2B research process. What's more, 71 per cent start their research with a generic search – this means they are looking for a solution like yours, but they don't necessarily have a specific company in mind to provide it. Therefore, you need to attract their attention. Of course, to achieve this, you need to have a strong online presence. Creating useful, informative and valuable content will increase your likelihood of being discovered by potential customers. And it will allow you to demonstrate your knowledge and expertise and show that you are the best choice. It's not enough to attract visitors to your website – you want them to convert to leads. And content marketing is a great way to generate high-quality leads. When someone converts on a piece of content that you've created, they're demonstrating to you that they were actively looking for a solution that you provide. Therefore, they are more likely to be engaged and to continue along their buyer's journey towards you. Furthermore, the content that you create will keep on converting leads over time, because it's evergreen. From blog posts to eBooks and podcasts, educative and helpful content doesn't have an expiry date (and, if it does, it's likely far in the future). Content is a highly valuable resource that just keeps on giving and giving. Writing for Convince & Convert, Barry Feldman states: "Content marketing can help you make money." Well, that makes sense – if content marketing can help you to garner more and improved leads (which you can then nurture), then it follows that this will result in more sales over time. However, Feldman is talking about more than that. He says: "Rather than talking about making money, I want to focus today on making more money. And I don't mean selling more product. Nor do I mean lowering your sales and marketing costs. Both are reasonable expectations for crack content marketers that's not today’s point. "What I’m talking about is raising your prices. Inflation, my friend. You can't avoid it, so you might as well just cause it." Feldman quotes various experts in this subject area, who explain that, because content marketing attracts the right people at the right time, those people are necessarily more discerning and better suited to your product offering. And, therefore, they are more likely to see the value you provide, meaning they aren't as focused on price (within reason). Felder quotes Ann Handley, chief content officer at MarketingProfs, who says: "Ultimately, [content marketing] allows you to unapologetically charge what you charge. You show that you know what you're talking about. Those who dig your stuff become more educated and sales-ready leads." As a manufacturer, this should be music to your ears. You know well the problems that occur when customers attempt to drive down your prices. And you understand the importance of taking into consideration the total manufacturing cost when building a product. Through content marketing, you can ensure that your target audience understands this too. More and more manufacturers are seeing the value in implementing content marketing within their organisations. Nevertheless, content marketing remains a relatively new endeavour within the industry, and this can mean that manufacturers might find themselves feeling slightly disillusioned at times. 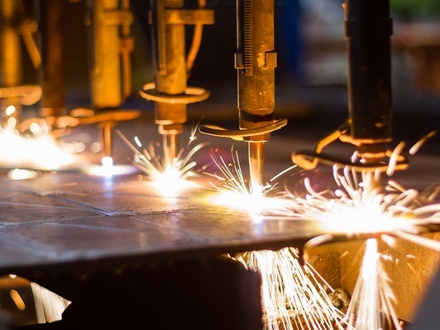 Hopefully, this post has clearly highlighted three of the top benefits of content marketing for manufacturing – and, of course, there are many others. Why not download our eBook below for more useful information.